The discussions around Bitcoin’s future never quiet down, and the crypto community cannot come to terms. Many men, many minds: some reckon that the Bitcoin bubble is about to explode, while others have high hopes for it. 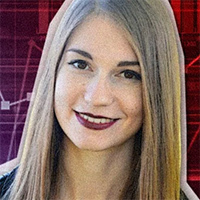 Wonder what Bitcoin’s short-term price prediction is for 2019? Let’s check out ideas and opinions from TradingView’s reputable users. The user called TomHall reckons that Bitcoin’s future could be determined by the next serious structure breakout, and the possible forecast for Spring 2019 is $6,130. But the Bitcoin price should fall not lower than $3,100 to receive support. So, when should we expect the BTC price to rise? According to TomHall, a $4,000 daily descending trendline and breakout of 50 EMA index could trigger BTC price growth. Continued changes of LLs and LHs would show that $3,100 is unlikely to hold for long and be significant support. At the moment, there is not much breakdown due to investors’ hesitation and lack of action. Right now, Bitcoin’s fate is mostly driven by hype and sell/purchase actions. But TomHall believes that later technical aspects will play a bigger role. The crypto expert that used to make loud statements about Bitcoin is now being more accurate. According to Botje11, we should expect the bull run for as long as we stay above the $3,300 level (the fluctuation in the range $3,200-3,350). It’s hard to make any conclusions because of a low BTC daily turnover on the market. Generally, the low volume means a bearish tendency, but the shape of a wedge signifies a bull run. The fact that the breakup of the line was small makes it very weak. Besides, there have already been a few breakouts in the $6,000 range, and the breakout of $3,400 seems to be too weak. Oppositely, a break of $3,380 would indicate the wedge failed totally. Anything in between $3,380 and $3,450 would mean a weakening of the bearish grip. What Botje11 recommends is waiting until Bitmex increases to $1.5-2 bln – it may be a good sign as well. Although the blue line on the graph suggests a bearish market, it can easily break from the push zone $3,450+. Anyway, the user gives no clear predictions – we should keep an eye out for Bitcoin fluctuations every day. Thus, if the price stays below the blue trendline, it will take a bit longer to reach $3,500, or it might even lead to Bitcoin selling. We should wait for a 4H candle close above the $3,500 – it will confirm the bullish trend. After the rejection of $3,500 in the nearest month, we should be prepared for a prolonged bearish winter.